John Michael Mulvaney is an American politician of the Republican Party who is serving in President Donald Trump's cabinet as Director of the Office of Management and Budget (OMB), as well as acting White House Chief of Staff. 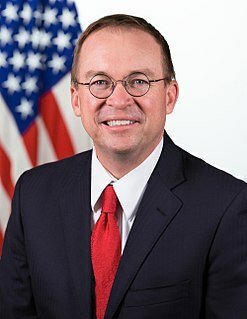 Mulvaney also served as the acting Director of the Consumer Financial Protection Bureau (CFPB) from November 2017 to December 2018. John Francis Kelly is a retired U.S. Marine Corps general who served as the White House Chief of Staff for President Donald Trump from July 31, 2017 to January 2, 2019. He had previously served as Secretary of Homeland Security in the Trump administration. 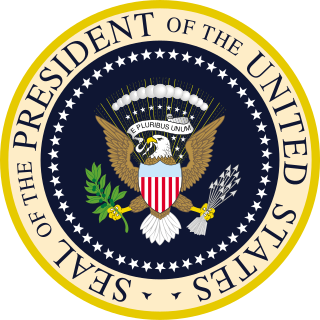 Originally, the duties now performed by the chief of staff belonged to the president's private secretary and were fulfilled by crucial confidants and advisers such as George B. Cortelyou, Joseph Tumulty, and Louis McHenry Howe to Presidents Theodore Roosevelt, Woodrow Wilson, and Franklin Roosevelt, respectively. The private secretary served as the president's de facto chief aide in a role that combined personal and professional assignments of highly delicate and demanding natures, requiring great skill and discretion. The job of gatekeeper and overseeing the president's schedule was separately delegated to the appointments secretary, as with FDR's aide Edwin "Pa" Watson. Theodore Roosevelt Jr. was an American statesman, sportsman, conservationist, and writer who served as the 26th president of the United States from 1901 to 1909. He previously served as the 25th vice president of the United States from March to September 1901 and as the 33rd governor of New York from 1899 to 1900. 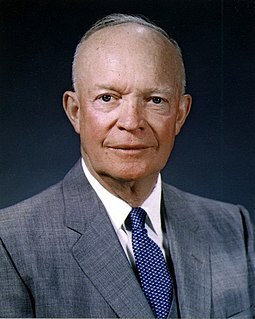 As a leader of the Republican Party during this time, he became a driving force for the Progressive Era in the United States in the early 20th century. His face is depicted on Mount Rushmore, alongside those of George Washington, Thomas Jefferson, and Abraham Lincoln. In polls of historians and political scientists, Roosevelt is generally ranked as one of the five best presidents. The average tenure for a White House chief of staff is a little more than 18 months. 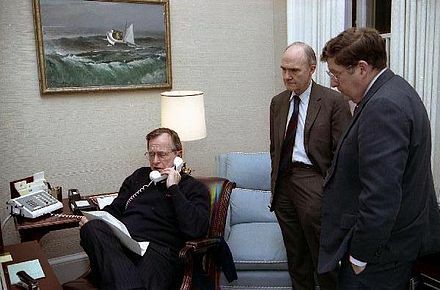 The inaugural chief of staff, John R. Steelman, under Harry S. Truman, was also the last to be a president's only chief of staff, not counting Kenneth O'Donnell during John F. Kennedy's 34 months in office. (Andrew Card and Denis McDonough each served at least one entire presidential term of office under Presidents George W. Bush and Barack Obama, respectively). Steelman also holds the record for longest-serving chief of staff (six years). 1 2 3 De facto, as Appointments Secretary. ↑ Pete Rouse served as ad interim White House Chief of Staff following the resignation of Rahm Emanuel and until the appointment of Bill Daley. ↑ Mick Mulvaney serves as "Acting White House Chief of Staff" following the resignation of John Kelly. 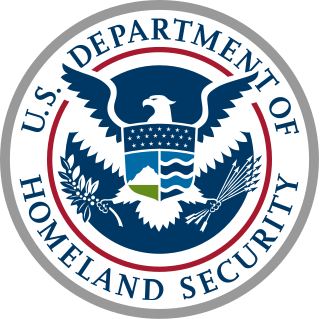 The United States Secretary of Homeland Security is the head of the United States Department of Homeland Security, the body concerned with protecting the U.S. and the safety of U.S. citizens. The secretary is a member of the President's Cabinet. 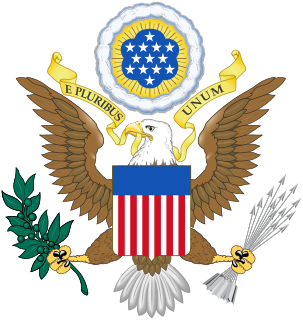 The position was created by the Homeland Security Act following the attacks of September 11, 2001. The new department consisted primarily of components transferred from other cabinet departments because of their role in homeland security, such as the Coast Guard, the Federal Protective Service, U.S. Customs and Border Protection, U.S. Immigration and Customs Enforcement, the Secret Service, and the Federal Emergency Management Agency (FEMA). It did not, however, include the FBI or the CIA. Imperial Presidency is a term some use to describe the modern presidency of the United States which became popular in the 1960s and served as the title of a 1973 volume by historian Arthur M. Schlesinger, Jr., who wrote The Imperial Presidency out of two concerns: that the U.S. presidency was uncontrollable and that it had exceeded the constitutional limits. The White House Communications Director or White House Director of Communications, also known officially as Assistant to the President for Communications, is part of the senior staff of the President of the United States, and is responsible for developing and promoting the agenda of the President and leading its media campaign. The director, along with his or her staff, works on speeches such as the inaugural address and the State of the Union Address. The Communications Director, who is appointed by and serves at the pleasure of the President without the need for Senate confirmation, is usually given an office in the West Wing of the White House. The White House Deputy Chief of Staff is officially the top aide to the White House Chief of Staff, who is the senior aide to the President of the United States. The Deputy Chief of Staff usually has an office in the West Wing and is responsible for ensuring the smooth running of the White House bureaucracy, as well as such other duties as the Chief of Staff assigns to him or her. In some administrations, there are multiple deputy chiefs with different duties. 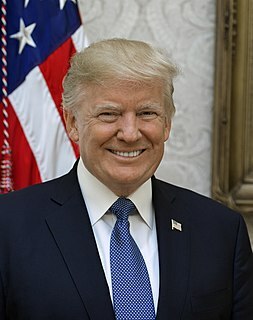 Counselor to the President is a title used by high-ranking political advisors to the President of the United States and senior members of the White House Office. 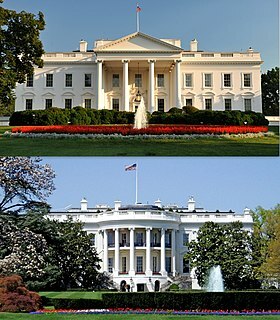 The White House Office is an entity within the Executive Office of the President of the United States. The White House Office is headed by the White House Chief of Staff, who is also the head of the Executive Office of the President. The staff of the various offices are based in the West Wing and East Wing of the White House, the Eisenhower Executive Office Building, and the New Executive Office Building. Almost all of the White House Office staff are political appointees of the President. These aides oversee the political and policy interests of the President and do not require Senate confirmation for appointment. They can be removed at the discretion of the President. The White House staff position of liaison to the American Jewish community is a role charged with serving as a presidential administration's voice to the community and gathering the community's consensus viewpoint on issues affecting it for the benefit of White House policymakers. 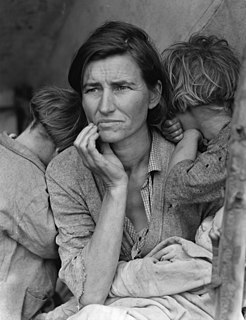 It has existed at least as early as the Carter Administration. The Office of Public Liaison is a unit of the White House Office within the Executive Office of the President of the United States. Under the administration of President Obama, it was called the White House Office of Public Engagement and Intergovernmental Affairs. President Trump restored the prior name and created a separate Office of Intergovernmental Affairs. Reinhold Richard "Reince" Priebus is an American lawyer and politician who served as White House Chief of Staff for President Donald Trump from January 20, 2017, until July 31, 2017. 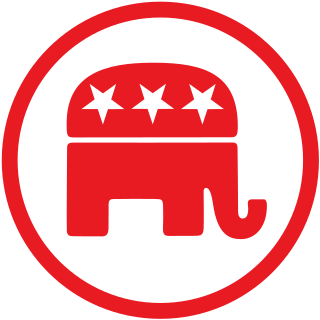 He also served as the chairman of the Republican National Committee (RNC) from 2011 to 2017. The Staff Secretary is a position in the White House Office responsible for managing paper flow to the President and circulating documents among senior staff for comment. It has been referred to as "the nerve center of the White House." Rick Allen Dearborn is the former White House Deputy Chief of Staff for Legislative, Intergovernmental Affairs and Implementation in the administration of U.S. President Donald Trump. Prior to this role, he was the executive director of Donald Trump's presidential transition team. The Office of American Innovation (OAI) is an office within the White House Office created by the Trump administration on March 27, 2017. The purpose of the office is to "make recommendations to the President on policies and plans that improve Government operations and services, improve the quality of life for Americans now and in the future, and spur job creation." Patrick Pizzella is an American government official, currently serving as the United States Deputy Secretary of Labor. He was formerly a member of the Federal Labor Relations Authority appointed by President Barack Obama. He held positions in several agencies during four prior Administrations. Emma Katherine King Doyle is the White House Principal Deputy Chief of Staff in the administration of U.S. President Donald Trump. ↑ "Trump names Gen. John Kelly as chief of staff, Priebus out". Politico. Retrieved 28 July 2017. ↑ Karni, Annie; Haberman, Maggie (2018-12-08). "John Kelly to Step Down as Trump, Facing New Perils, Shakes Up Staff". The New York Times. ISSN 0362-4331 . Retrieved 2018-12-10. ↑ Trump, Donald J. (2018-12-14). "I am pleased to announce that Mick Mulvaney, Director of the Office of Management & Budget, will be named Acting White House Chief of Staff, replacing General John Kelly, who has served our Country with distinction. Mick has done an outstanding job while in the Administration..." @realDonaldTrump. Retrieved 2018-12-14. ↑ Swanson, Ian (2018-12-14). "Trump names Mulvaney acting chief of staff". TheHill. Retrieved 2018-12-14. ↑ "New Quarters". Time . 1934-12-17. Retrieved 2008-05-08. ↑ "An Appointment". Time . 1923-08-20. Retrieved 2009-05-09. ↑ "Hamilton Jordan, Carter's Right Hand, Dies at 63". The New York Times. 21 May 2008. Retrieved 7 March 2016. ↑ "The Presidency and the Political System" . Retrieved 7 March 2016. 1 2 3 Whipple, Chris. (2017). The Gatekeepers: How the White House Chiefs of Staff Define Every Presidency. New York: Crown Publishing Group. ↑ "Transcript". CNN. August 13, 2018.